Recently life has seemed to take a change for the better, the grass in the garden has stopped growing (no more mowing, yippee! ), there is hot and sunny weather during the weekends as well as during the working week (double yippee) and up until yesterday, my fellow Yorkshire men were driving England to World Cup glory (‘ee by ‘gum yippee). But something else seems to be all over the newspapers this week BREXIT. The way the recent UK government discussions have played out in the last few days has for me many parallels with how we should and should not conduct supplier negotiations. Let me take you back to before England’s victory over Sweden, last Friday, PM Theresa May called her cabinet to Chequers and presented them with a 120-page dossier to review on the way ahead for the BREXIT negotiations, they were not allowed expert advice from their departments, no mobile phones to “call a friend” and they had no prior notice of its exact contents. During the discussions she issued them with an ultimatum to sign up to her plan or not. It took David Davis (who by the way was born in Yorkshire) a few days but eventually he decided to leave the cabinet as he could not sign up to the approach on offer. – Always scenario plan– How will the other side will react to your proposals, be ready for the unexpected, they may walk away like Mr. Davis did. 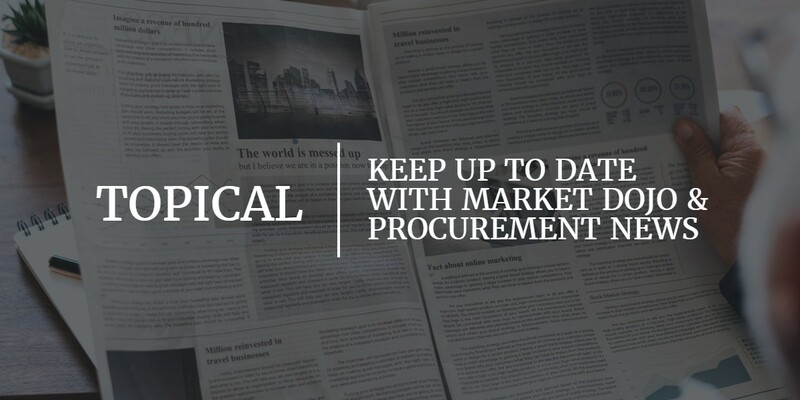 – Give the other side the full information on the requirement and adequate time to consider your offer, if they have done their scenario planning they should be able to react quickly and give answers and prices on time. – Be clear about your needs, and signal areas for future negotiation, “take it or leave it” rarely builds a good long term working arrangement between Buyer and supplier. – Understand the power dynamic in the relationship carefully, who has the dependency, which party needs each other more. Did Theresa May need David Davis inside her cabinet more than on the outside in the backbenches? – Use the most modern techniques available – In the football England used video analysis, player performance monitoring and opposition analysis rather than just relying on luck and gut feel. In my view using a structured eSourcing/eAuction like Market Dojo tool allows the Buyer to take control of the negotiation process, set the timetable and achieve greater business success. – Perhaps think of the eAuction phase of the negotiation like a penalty shootout, it’s the final phase of the negotiation, it can be high pressure, and you can be a hero if you get it right! 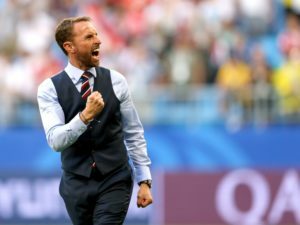 As the England football team recently showed careful preparation for the key moments, like penalties is vital, Practice in football is like scenario planning in negotiation. How will we react if they do this or that? So in summary next time you are conducting supplier negotiations follow the ‘Southgate way’ (He lives in Yorkshire by the way) rather than the ‘May way’. Use a structured methodology, use the best tools available, plan in goodtime and model different scenarios, play to your strengths, understand power dynamics and do not let the Yorkshire man walk out as he may well be the key to your success! Enjoy the rest of the World Cup and watching the BREXIT negotiation, they will both be difficult to watch but hopefully highly entertaining and maybe even comical at times! – Olympic Hero’s – Nicola Adams, Jonny & Alaistair Brownlee, Luke Campbell, Jessica Ennis-Hill and many more. Disclaimer: The views expressed here are solely those of the author and do not in any way represent the views of MAG.